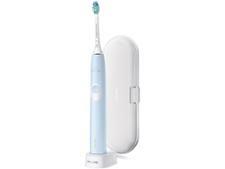 Top Five Cheap Electric Toothbrushes - Which? 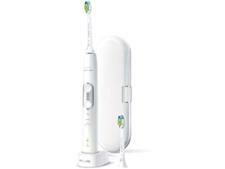 You don't have to spend a lot to get a top-class electric toothbrush. Below, we round up five of the best cheap electric toothbrushes that have aced our tests. With pricey, smartphone-compatible electric toothbrushes hogging the headlines, you’d be forgiven for thinking you need to spend big for a top electric toothbrush. Think again. Our thorough and independent tests have uncovered some fantastic electric toothbrushes that cost less than £30. To help you keep money in your pocket, and teeth in your head, we’ve rounded up the top five cheapest electric toothbrushes from our tests in the table below. All scored more than 70% in our rigorous lab tests, so you can be confident they won't let you down. Which? members can log in to access the top five. If you're not yet a member, join Which? to get instant access. This first-class electric toothbrush single-handedly destroys the phrase 'you get what you pay for'. Fantastic plaque-removal ability is coupled with a good battery to create a Best Buy toothbrush that is one of the cheapest rechargeable electric toothbrushes you can find. After more than ten years at the top, this Best Buy electric toothbrush is being put out to pasture. But it's still available online at Tesco and Amazon, and is worth buying. Its dual-cleaning action has one section of rotating bristles and another that sweeps side-to-side, helping it to excel at removing plaque. There are a few question marks over its battery performance, but if you can see past those, this toothbrush could have you grinning from ear to ear. This bargain electric toothbrush removed plaque impressively in our tests, surpassing premium models costing more than five times as much. It’s got a decent battery - you’ll get around a fortnight of brushing in before it needs recharging - plus some useful features you probably wouldn't expect at this price. This is one of the cheapest big brand rechargeable electric toothbrushes, and it’s among the very best at removing plaque. The battery isn't great – you’ll need to fully recharge it every week or so, but this brush is definitely worth considering if you're on a tight budget. This easy-to-use toothbrush matches the plaque removal abilities of much higher-scoring rivals, and also has a couple of useful features that should help ensure you’re brushing for long enough. The battery isn't the best – you’ll need to fully recharge it every week or so – but all in all this is a good electric toothbrush for a bargain price. Not found the model for you? 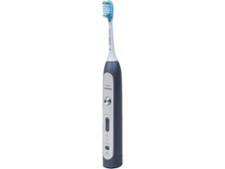 Browse all of our electric toothbrush reviews. What’s the best electric toothbrush? We have a panel of triallists clean their teeth multiple times with every electric toothbrush we review, and we collect more than 2,200 before and after plaque readings to find out which toothbrushes get rid of the most. Ever experienced the slightly ridiculous feeling you get when manual brushing with an electric toothbrush that has no charge? Well then, you’ll appreciate the importance of finding a model with a reliable battery. We test to see how many two-minute brushes you’ll get from a fully charged battery and check exactly how long each battery takes to recharge, too. Only after all this, and more, are we fully confident about recommending the best electric toothbrushes.